I can’t believe it’s been a whole year since I last updated! It’s hard to find the time at the moment. I do small updates (pictures, news) over on my Facebook page and Twitter, but should really get into updating here more regularly too. So what have I been up to… Well, quite a lot. Lots of the usual orchestral concerts, weddings, and teaching. But also a bit of session work, solo recitals, recitals with my brother, and the big news – I’ve got two new harp ensembles! 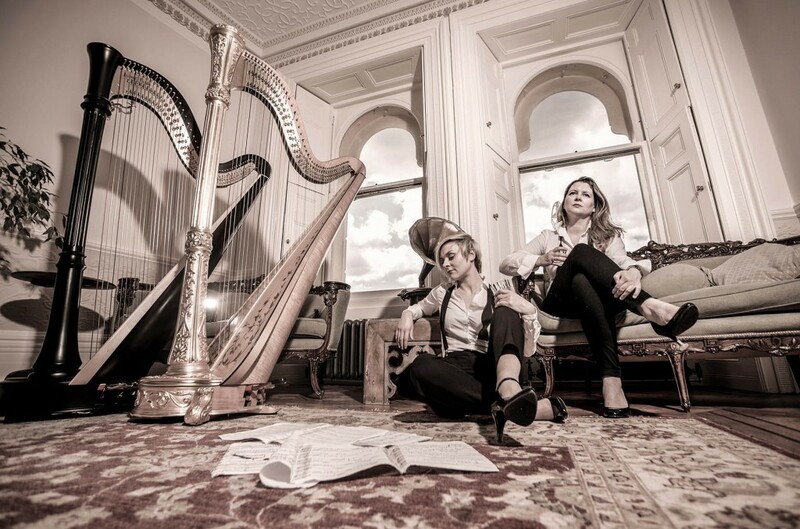 94 Strings is my duo with Fiona Hosford. We played our debut concert at Angel House in Hove at the end of August to a packed out audience, and had a really great time. We should be doing a few festivals around Sussex next year so watch this space! I’ve also been organising an 8 harp ensemble with my amazingly talented Sussex-based colleagues which is extremely exciting. It’s always great to get together to swap harp related tips and tricks, whether it’s a new harp trolley available on the market, or a better way of tying harp strings. Hoping to do our first concert either later on this year or early next year. In teaching news, I’m now going to be teaching harp at Lancing College as well as Brighton College, Burgess Hill Girls, and Lingfield Notre Dame. Very excited to join the team there! The music department has a fantastic reputation. I worked on a lot of new repertoire which I performed for summer recitals, and am now just starting to learn some new bits. It’s also time to dig out the Christmas repertoire and get that going in time for Christmas concerts… although it feels a bit weird since it’s still so hot. For more regular updates check out my Facebook and Twitter, or join my mailing list by putting your email in the box at the bottom of the page.